New Style Motorcycle Tours provide a complete service for the touring motorcyclist with our accompanied tours. All tours are led by the tour operator, or occasionally by a senior associate. You can be assured that the tours will be conducted at a suitable pace so that you can enjoy the scenery and the roads. Regular stops will be made at suitable locations throughout each tour. 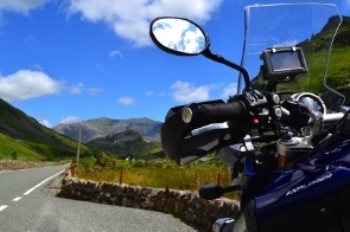 Tours can be arranged for Groups, including motorcycle clubs, first time tourers or advanced riders, where the pace can be a little quicker throughout the tour, but remaining within the permitted speed limits. If your group has a special interest, then let us see if we can arrange a suitable tour for you. Our 2019 tour programme is currently being prepared. Tours will be added as and when they are finalised. WHEN: SATURDAY 30TH MARCH, 2019 TO SUNDAY 31ST MARCH, 2019. Overnight Bed & Breakfast stop in Caernarvon. £ 150 per rider sharing. £175 per rider single(limited single accommodation available). Details: Leaving South Wales on the Saturday morning we travel through some fine scenery whilst making our way north. En route we provide some 'advanced riding' techniques to participants to give those who have not ridden at an advanced level previously some experience and understanding of what this level of riding is all about. For those who are already riding at an advanced level then this trip will provide an opportunity for polishing up those skills already acquired. 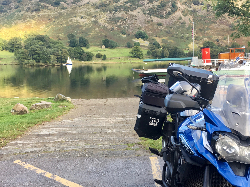 After an overnight stop at our 'biker friendly' bed and breakfast we then return south the following day via an alternative route, still enjoying the delightful scenery as we go. Daily mileage approximately 180 miles. Book by: These courses are always popular. We advise you to book in plenty of time as there are limited spaces. To Book: Call Us Or Click Below. After an overnight ferry crossing from Plymouth to Santander in northern Spain we base ourselves not too far away in a friendly hotel on the outskirts of Llanes for the next six nights. This location will give us a good base for which to explore the nearby Picos Mountains and the Cantabrian coastline and area. Our itinerary is to be finalised but we shall have some great rideouts with plenty to see and do. We shall return by riding back up through France over three days and sailing back from Caen to Portsmouth. Sunday, 2nd June, 2019 to Wednesday, 12th June, 2019. Based near Llanes , Spain for six nights and then riding back north over three days through France. Sunday, 2nd June, 2019: We shall set off from Plymouth on the 1545hrs sailing destined for Santander in Spain where we shall arrive at 12115hrs on Monday, 3rd June, 2019. A cabin is provided during the crossing. Monday, 3rd June, 2019: We arrive at our hotel that will be our base for six nights situated close to Llanes and not too far from the port of Santander. A leisurely day after our sea crossing. Tuesday, 4th June, 2019 to Saturday, 8th June, 2019: We shall explore the nearby coastline and Picos mountain ranges. There is plenty to see and do in this area of Spain that is often missed by the British tourist. Bed and breakfast for each night (9 nights)at the accommodation provided. Motorcycle parking fees where they apply at hotels when staying overnight. Cabin on outward bound crossing. Accompanied tour guide for the duration of the tour. To Book: Call Us Or Click Below. Friday, 20th September, 2019 to Monday, 23rd September, 2019. Based in Macroom (west of Cork City). Friday, 20th September, 2019: We travel via the Fishguard to Rosslare ferry leaving Fishguard at 1310hrs and arriving in Ireland at 1625hrs. From there we travel 150 miles to our country house hotel where we shall base ourselves for the weekend at Macroom, a short distance to the west of Cork City. Saturday, 21st September, 2019: We'll stick to the old favourite of a circular trip around the Ring of Kerry. Stopping off at a great little pub for lunch at the end of the peninsular we always find something new to explore on our travels. Daily mileage approximately 150 miles. Sunday, 22nd September, 2019: Today we shall explore the Beara Peninsular and travel over the famous Healey's Pass where you will see what must be one of the best views in Ireland. Daily mileage approximately 150 miles. Monday,23rd September, 2019: We have a full day in Ireland so that will give us time to explore as we make our way back via the 'Gold Coast' to Rosslare to catch the evening ferry that departs at 1810hrs and arrive back in Fishguard at 2125hrs. Return ferry crossing from Fishguard to Rosslare. 3 x nights dinner, bed and breakfast at our accommodation. Inland ferry crossing fares (we may use one or two on this tour). Toll charges (we shall be using the toll bridge to by pass Waterford). A video of our 2014 trip to this area can be viewed via our gallery page. Why not take a look. As soon as possible as this trip tends to fill up quickly. Overnight B&B stop in Caernarvon. £150 per rider (no single accommodation available). Details: Leaving South Wales on the Saturday morning we travel through some fine scenery whilst making our way north. En route we provide some 'advanced riding' techniques to participants to give those who have not ridden at an advanced level previously some experience and understanding of what this level of riding is all about. For those who are already riding at an advanced level then this trip will provide an opportunity for polishing up those skills already acquired. After an overnight stop at our 'biker friendly' b and b we then return south the following day via an alternative route, still enjoying the delightful scenery as we go. These courses are always popular. We advise you to book in plenty of time as there are limited spaces. To Book:Call Us Or Click Below. 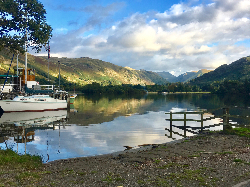 Lake District Tour - October 2019. WHEN: Date to be confirmed. Day 1: Leaving South Wales on the Friday morning we head north via a scenic route to our stay for the weekend near Penrith. Day 2: We head for the nearby Lake District. and spend the day touring the Lakes. We shall pass through many of the passes in the Lake District including the challenging Honister Pass. A great days riding is guaranteed in and around the Lakes National Park. Day 3: There is plenty to see with the nearby Pennines area of outstanding natural beauty and Yorkshire Dales. We shall enjoy another scenic day riding the roads of the area. Day 4: We head south back towards South Wales. A three night overnight B&B stop near Penrith in a comfortable country house hotel. 3 x nights bed and breakfast at the accommodation provided. Evening meals available on site at the accommodation. As soon as possible. Limited accommodation. To Book: Complete and submit the form below. Copyright © November 2018 New Style Tours. All rights reserved.